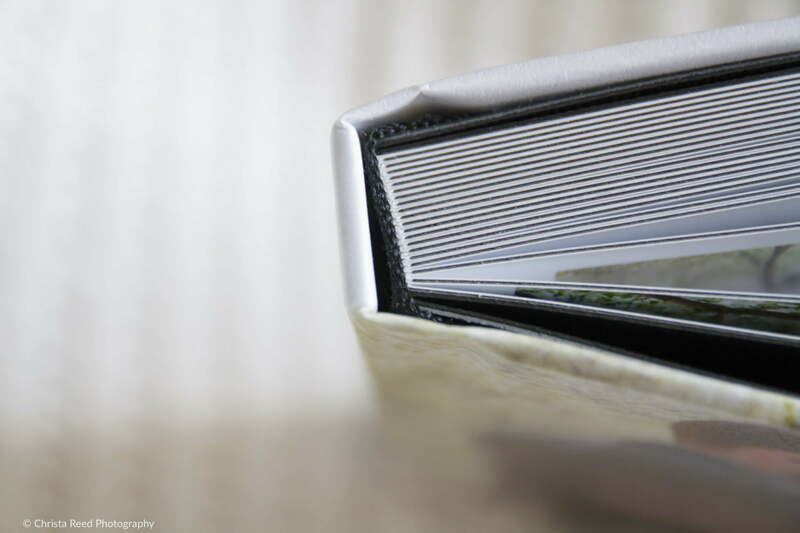 A photographic cover for your wedding album is a modern alternative for you if leather or linen covers aren’t quite your style. especially when your photos are as lovely as Alicia and Jeremiah’s. I want to make preserving your wedding photos simple and easy. This is why I offer my clients albums with wedding photography packages. I take care of all the photo selection and design. Before the album is sent to the printer I provide a proof for you to view. I work with you to make sure the design is to your liking. 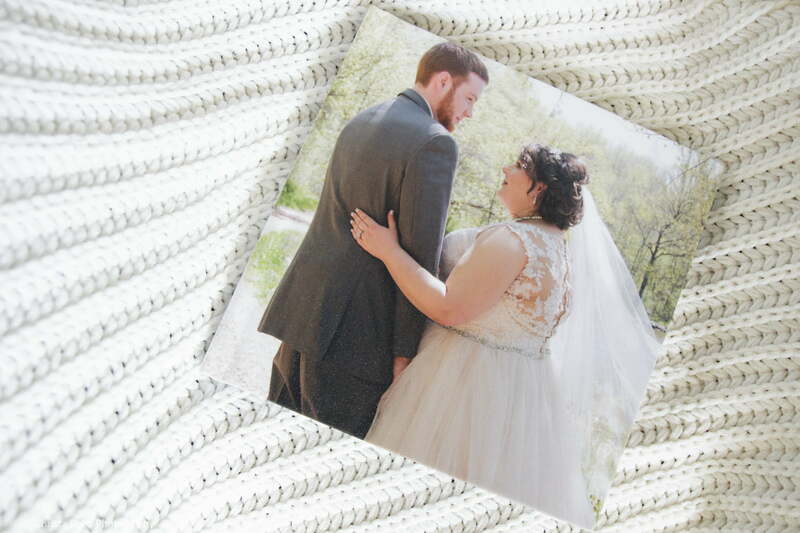 An album is one of the easiest ways to make sure you have hard copies of your favorite wedding photos. 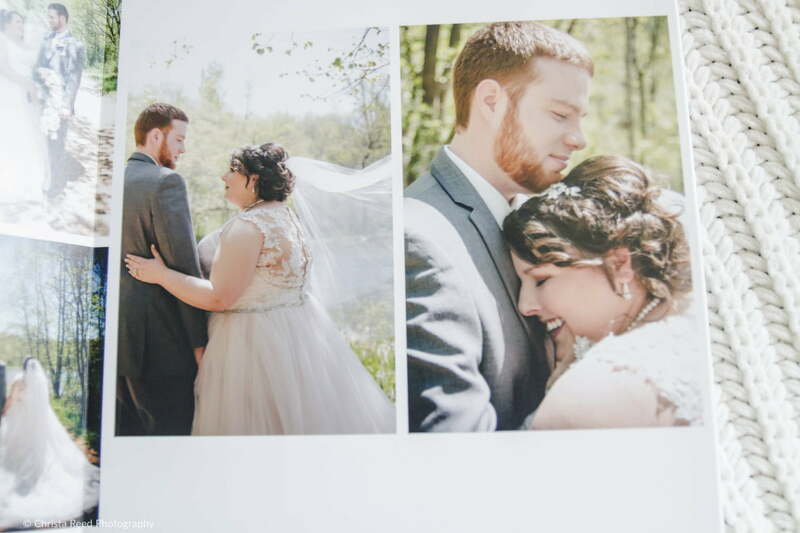 I order my albums from a professional album maker who quality checks each page for correct color, and adjusts prints as needed to make sure the album you receive is perfect. My album printer is different than a consumer printer. I appreciate the short term convenience of a USB, but there’s something special about holding your wedding memories in your hands with an album. Your album is your wedding story. It’s something to look back at over and over again. A USB is a piece of technology that lives in the moment. An album will travel with you through changes in technology and never become obsolete or phased out. 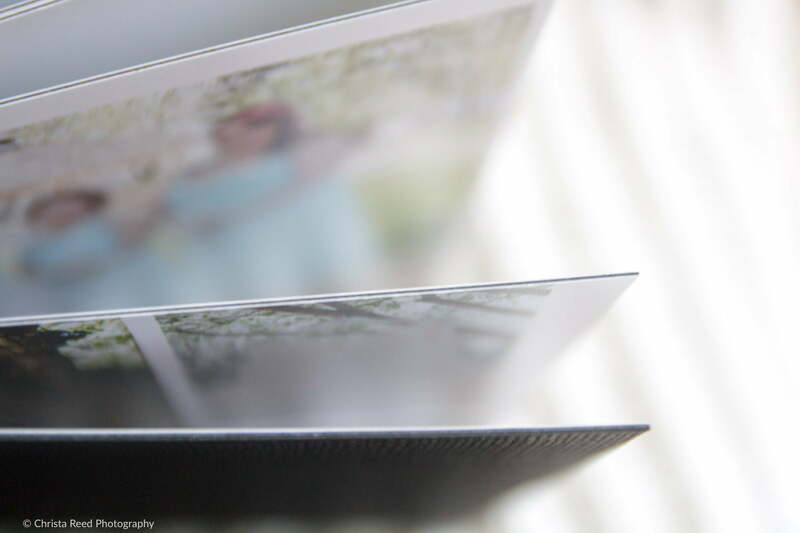 This is a 10×10 square album, with a photographic cover and luster coating to help protect it from moisture. Album pages are clean, classic, and make your pictures stand out. The pages are mounted on thick matts. They prevent tearing. The spine of the album is sturdy and lets the book lay flat. I am a Belle Plaine and Chaska wedding photographer. I travel through out Minnesota and the United States for weddings. If an album is on your must have list of services from your wedding photographer, contact me via this form and we can talk about your needs. For More information on weddings and portraits read the Info page here.